Despite the dangers, miners continue to use mercury. This year’s UN Environment Programme (UNEP) Global Mercury Assessment found that small-scale gold mining accounts for 35 per cent of mercury emitted into the air and directly threatens the health of an estimated 15 million miners in 70 countries—mainly in Africa, Asia and South America. Koekkoek sees the facility as part of the solution to continued use and a model for others to follow, particularly since many nations will soon have obligations under the Minamata Convention—a global treaty on controlling mercury use, emissions and releases agreed in January after four years of negotiations convened by UNEP. 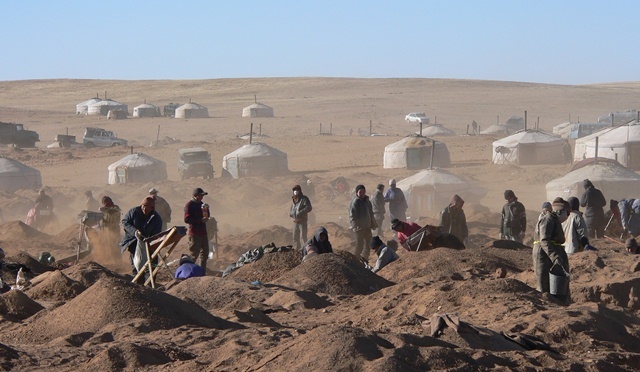 While the overall policy approach for artisanal and small-scale mining varies from country to country, Mongolia—the global host of UNEP’s World Environment Day 2013—is looking to move to a greener and more-sustainable future through renewable energy, ecotourism and other measures.